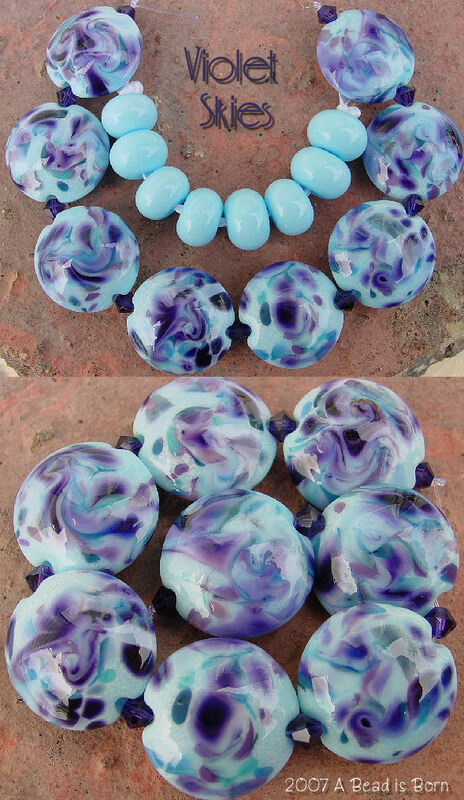 Beautiful sky blue lentils, decorated with variations of violets and blue swirls. A unique set that will draw attention to your jewelry creations. Very soft, and pleasing to the eye. A set that will be even more appreciated, once in your hands. Lentils measure about 17mm, matching spacers measure about 8mm. Matching violet Swarovski crystals are included.